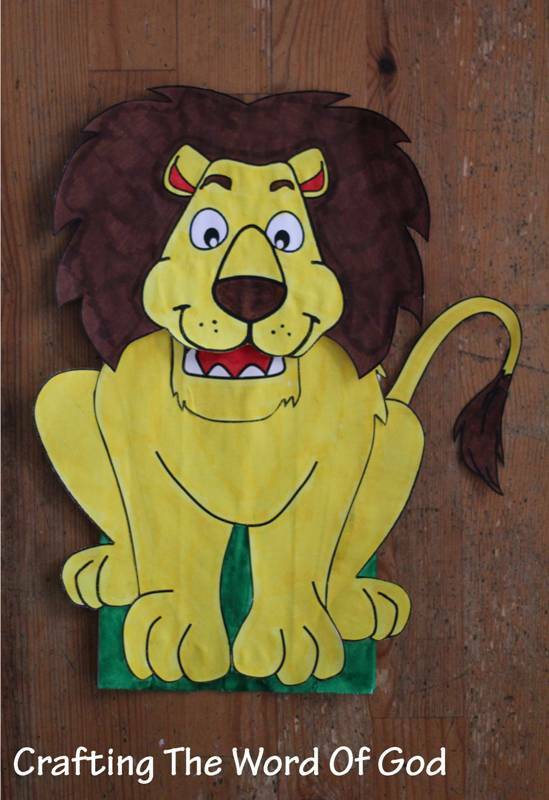 With this craft your kids will be able to make their very own lion for the story of Daniel in the lions den. Turn a paper sandwich/lunch bag upside down. Paint the large square green. You can also use tissue paper or construction paper. Glue the head piece of the lion onto the small square. Glue the smaller legs to the body of the lion. Glue the tail onto the body of the lion. Glue the mouth piece to the body of the lion. Glue the body of the lion onto the green square. This entry was posted in Bible Crafts, Daniel, OT Crafts and tagged angel, bible crafts, crafts, Daniel, Daniel and the lions den, God, lion, lion puppet, lions den, protection, trust.